The memorable moment of suppression, so carefully recorded by John of Alcester, seems both poignant and pointed. There is a deep irony in the final liturgical fragment “Deposuit potentes” [He hath put down the mighty]. This irony is reinforced by the fact that this fragment comes from the Magnificat (also known as the Song of Mary); and Evesham Abbey was dedicated to and founded following a vision of the Blessed Virgin Mary. At least some of the stone from the demolished buildings was sold; but the people of Evesham who claimed a share in the plunder are said to have made ‘no little spoil’. Indeed, Philip Hoby, to guard his future interests in the place, was forced to pay men to watch nightly to prevent further waste. The gift of the Bell Tower to the town was probably part of Queen Mary’s attempt to restore Catholicism to England. There was probably little left of the abbey church itself. 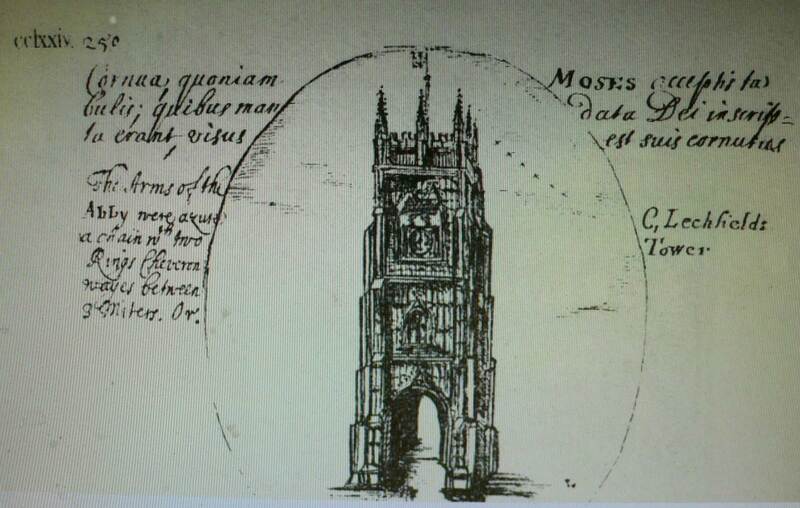 This material is taken, with permission, from Stan Brotherton’s A Lost Bell of Evesham Abbey? (published by the Vale of Evesham Historical Society). E.J. Rudge, A Short History of Evesham (Evesham: Aggs, 1820), pp.49-50. Victoria County History of Worcestershire, vol.II, p.391. C.J. Pickford, unpublished notes (2011), entry for ‘Evesham: Bell Tower’, p.7.